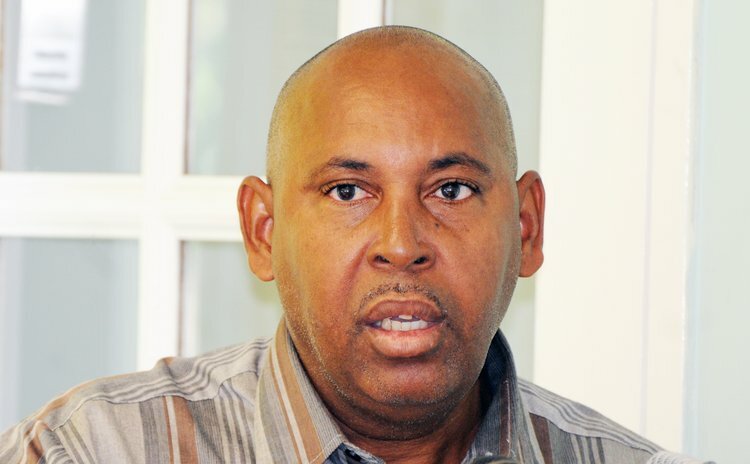 Glen Etienne, the President of the Dominica Football Association (DFA) is not answering questions pertaining to comments that Foreign Affairs Minister Francine Baron expressed while stating government's support for Morocco's bid for staging the 2026 World Cup. Instead, Etienne who returned to the island after attending an "urgent" one-day meeting in Barbados with FIFA officials said the DFA has followed FIFA statutes. Earlier, Baron pledged Dominica's support to Morocco saying that: "On behalf of Dominica, I am pleased to announce the support of my country for Morocco in the organization of the 2026 World Cup." Her comments drew strong criticisms here and across the region including Dominica where former treasurer of the DFA Phillip White said "the Minister was just uninformed about the procedure for these matters, but I think that it is all settled now." Speaking to the SUN from his office in Bath Estate Etienne said the DFA had done nothing wrong. "The DFA is an organization within FIFA and the DFA will be guided by the FIFA statutes. At the moment, the DFA is in conformity with the FIFA statutes," Etienne said. FIFA's statutes demand national soccer associations are "independent and avoid any form of political interference." FIFA's regulations for World Cup bidding feature a warning about "refraining from accepting any kind of support or development program or further initiative containing any kind of financial or commercially beneficial contributions to single or multiple members of the football community which may unduly affect the integrity of the bidding procedure." When the bid books were published last month, FIFA President Gianni Infantino demanded the "highest standards in terms of ethical conduct" from contenders after criticism of the 2010 vote for the hosts of the World Cups in 2018 and 2022. Meantime, a FIFA evaluation committee launched a five-day inspection tour of the US, Canada and Mexico on Monday April 9, 218 as the ¬bidding battle for the 2026 World Cup enters the home stretch. With just over two months to go before the vote that will decide the hosts for the finals in eight years' time, the FIFA delegation kicked off its North American visit in Mexico City. The North American joint bid is widely seen as the front-runner for the 2026 race, with Morocco the only other candidate for the expanded 48-team tournament. The US-Mexico-Canada bid has made an array of already-existing, modern stadiums the centerpiece of its bid, a key consideration for FIFA chiefs anxious to avoid expensive "white elephant" venues that have plagued previous World Cup hosts. Phillip White, the former DFA Treasurer believes the US-Mexico-Canada bid is the best for the region. "They will be given the rights to hold the World Cup…and that is good for us as CONCACAF, the Confederation of North, Central American and Caribbean Football Association; it also means that the World Cup will be closer to us and we in the region will have the chance to go to the USA or Canada to view matches," White said. North American bid officials have said 60 of the tournament's matches will be staged in the US, with Canada and Mexico hosting 10 games each. The US will host all knockout games from the quarterfinals onwards. Morocco has failed with four previous World Cup bids.